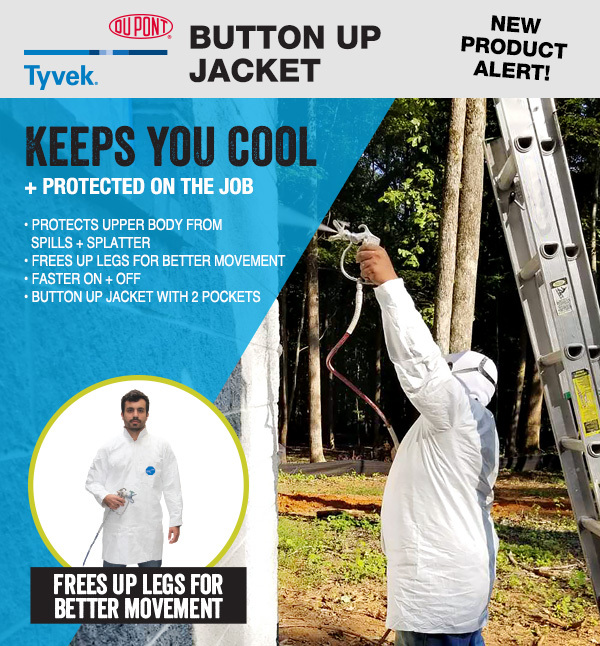 We have a new coverall that will keep you cool while you work. On top of that, you’ll get the same dependent coverage that Tyvek Coveralls provide. The easy to wear jacket blocks liquids and airborne particles yet is breathable for all day comfort. Freely move your legs on the job! Tyvek is low-static, durable and protects even when abraded. Read more about the product here.